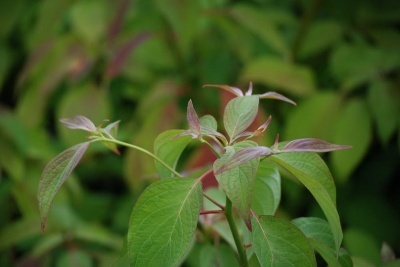 Deciduous spreading tree or shrub with mid green leaves turning purple in the autumn. 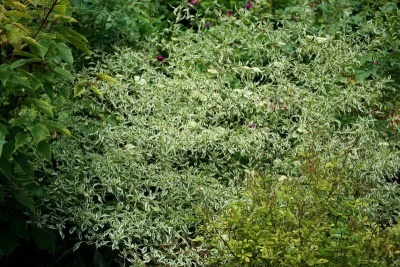 Layers of large white bracted flowers in early summer make for a stunning and desireable plant. 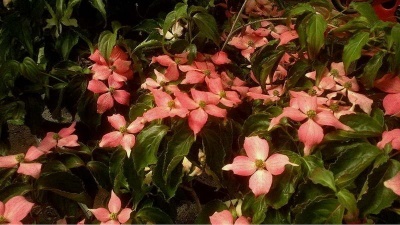 Happy in full sun or light shade and will do best in rich, moist but well drained soils. H:2-5m. 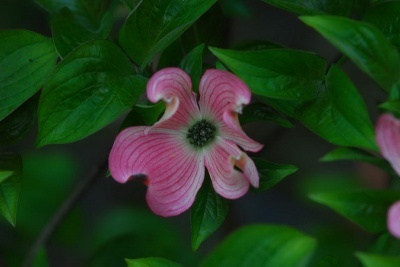 Himalayan flowering dogwood. 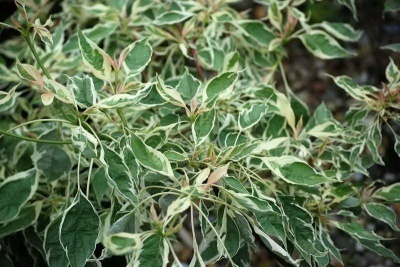 Very attractive shrub or, in sheltered areas, small tree. Semi- evergreen. Grey--green foliage and flowerheads surrounded by lovely sulphur-yellow bract in mid-summer. Best in a little light shade and reasonably good soil. Hardy. Very beautiful deciduous small tree or large shrub. 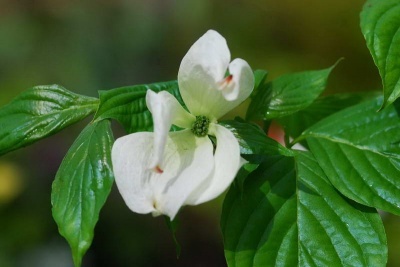 Profuse flowering in early summer with large and distinctive white bracts around each flower. 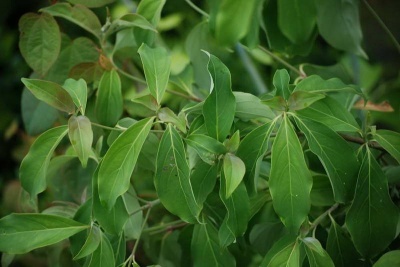 Lighter green leaves than the parent species. 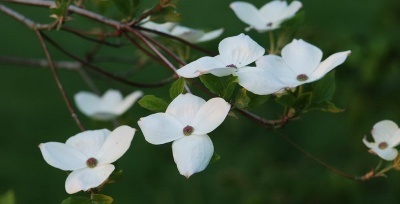 Sun or part shade on moist but well drained soil, but not chalky conditions. H: up to 3-5m.